1. 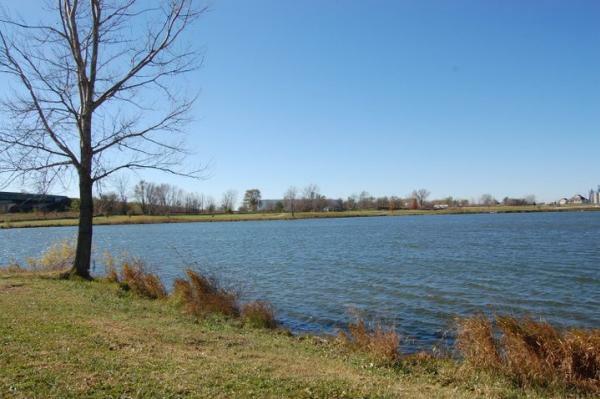 Lake Petocka in Bondurant, just east of Des Moines, is a small, shallow lake with easy access for shore fishing. Bring in impressive channel cats with your favorite stink bait here and don’t forget to pack your small jigs, because the lake is also stocked with rainbow trout. Where to stay while fishing Lake Petocka? There are campgrounds available just down the road in Altoona at Adventureland Campgrounds, and the Iowa State Fair campground is available April to July and then again in September for affordable RV camping. 2. Big Creek State Park, surrounding Big Creek Lake near Polk City, offers fishing fans of all ages an accessible fishing pier and jetty. This scenic lake is home to an impressive crappie population as well as several species of bass. Pro tip: bring your favorite clear water jigs for the walleye that like to hide in submerged brush along the shore. The best part—Big Creek is just 11 miles north of Des Moines, making it an easy day trip while visiting the city. For lodging closer to the lake, try the campgrounds or cabins around Saylorville Lake, adjacent to Big Creek. 3. Saylorville Lake may be right next door to Big Creek but it’s a whole different lake to fish. With more than 5,000-acres of habitat to explore, you’re likely to find plenty of action. Largemouth bass tend to linger in the rock beds and flats at Saylorville, and the crappie and walleyes hit well on live bait, especially during cooler weather. 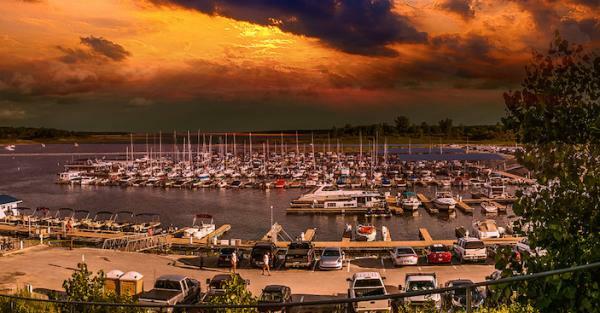 Saylorville is perfect for an extended Greater Des Moines fishing trip, thanks to amenities like on-site lodging, a full-service marina and multiple boat launches. 4. 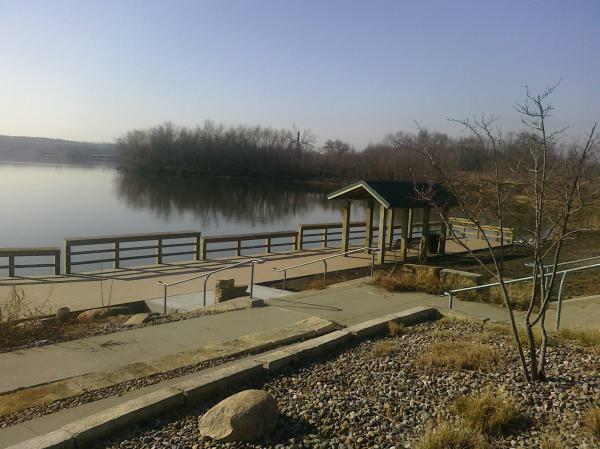 Blue Heron Lake, part of Raccoon River Park in West Des Moines, is a peaceful place to take the whole family fishing. You’ll find the lake’s fishing pier a kid-friendly way to get close to the water. Fish here for walleye, crappie and largemouth bass, all part of the park’s stocking program. If the kids want to camp after a long day fishing at Blue Heron Lake, check out the shady campgrounds at Walnut Woods State Park, just down the Raccoon River to the south. The state park is a fishing bonus, thanks to a flat shoreline that makes it easy to fish from the bank or launch a kayak for fishing on the water. There are also plenty of hotels close by in Clive and West Des Moines if you prefer not to camp. 5. Des Moines River is another popular way to get your line wet while in the area. Bring your big crankbaits and make your way to the Scott Avenue Dam near downtown Des Moines, if walleyes are your favorite sport. You’re also likely to find white bass and wipers below the dams in Des Moines. You’ve got a long stretch of water to the south, more than 50 miles, before you hit the next reservoir, so be prepared to test your river fishing skills in varied habitats. It’s also not unheard of to catch channel cats of decent size along this stretch. If you’re planning to make camp for an extended stay while fishing the Des Moines River, there are campsites available at Yellow Banks Park, right on the river in Polk County. Finding fishing hot spots isn’t difficult when planning a trip to Greater Des Moines, thanks to the wealth of lakes and rivers in the area. You’re going to enjoy these scenic waterways and good fishing can be found by checking up-to-date fishing reports and trusting your own angling skills. The fishing’s fine in Greater Des Moines, so why not pack your gear and head for the weekend? When you do, be sure to leave your comments here on your favorite fishing destinations around the metro. 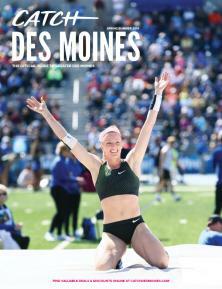 Want to stay up to date on the latest buzz around Greater Des Moines? ​Subscribe to our blog or sign-up for a Catch Des Moines Newsletter.